Because it looks and feels incredible! 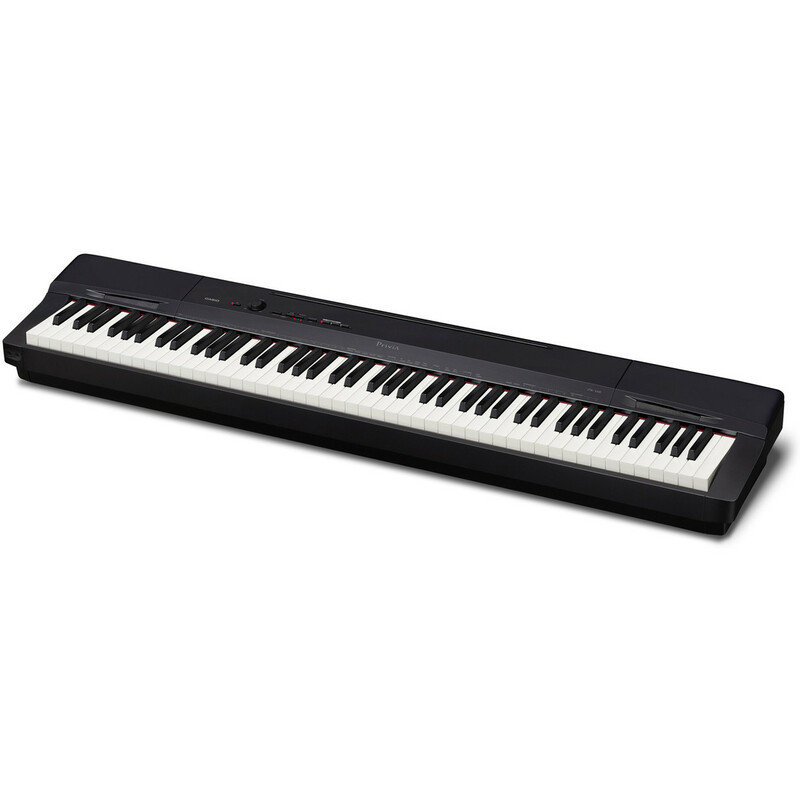 Casio's Privia PX-160 Digital Piano, Black makes an ideal choice for both stage, studio and home use! Made sleek and lightweight weight, the PX 160 is incredibly portable! Perfect for the gigging musician. And featuring world-class technology, the PX-160 is made to deliver a dynamic playing experience, with a wide range of features to spice up your sound! Play with the fullest expression, with Casio's Tri-Sensor Scaled Hammer Action ll. Featuring Casio's ebony and ivory textured keys. The PX 160 imitates the authentic touch and natural feel of an acoustic grand piano. Leading the field with its trademark Hammer Response action. The PX 160 is meticulously designed to faithfully produce every nuance, paying close attention to the tonal character of your performance. Expect nothing less than performance excellence with the PX 160. All thanks to Casio's AiR sound engine, you can explore a range of incredible sounds, meticulously recorded and reproduced using Casio's very own sampling technology. Casio’s Acoustic and intelligent Resonator (AiR) uses real acoustic piano samples, engineered to produce an organic sound. So you can deliver a seamless and dynamic performance, with the fullest expression. The AiR Sound technology is fundamentally based on the sound of the concert grand. Carefully engineered to produce a natural tone full of character and depth. And with the use of the damper resonance and hammer response add subtle textures to your overall tone. The Privia series features Casio's Tri-Sensor Scaled Hammer Action II keyboard. Thoughtfully designed to deliver the most natural and authentic playing experience. The PX 160 is meticulously engineered to recreate the weight, touch and resistance of a grand piano. Maintaining quality and portability. 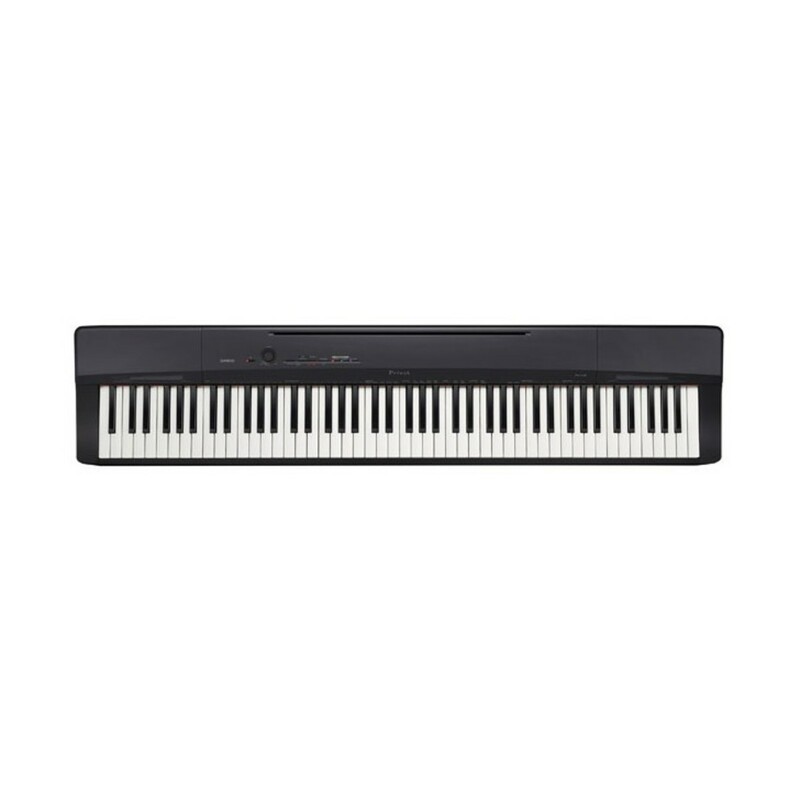 The digital piano is made with simulated Ebony and Ivory textured keys. Replicating the touch and playability of the acoustic grand piano. And built with an all-new tri-sensor system. You can accurately capture the tonal character of your performance with the PX 160. Faithfully reproducing both the speed and accuracy of your performance. 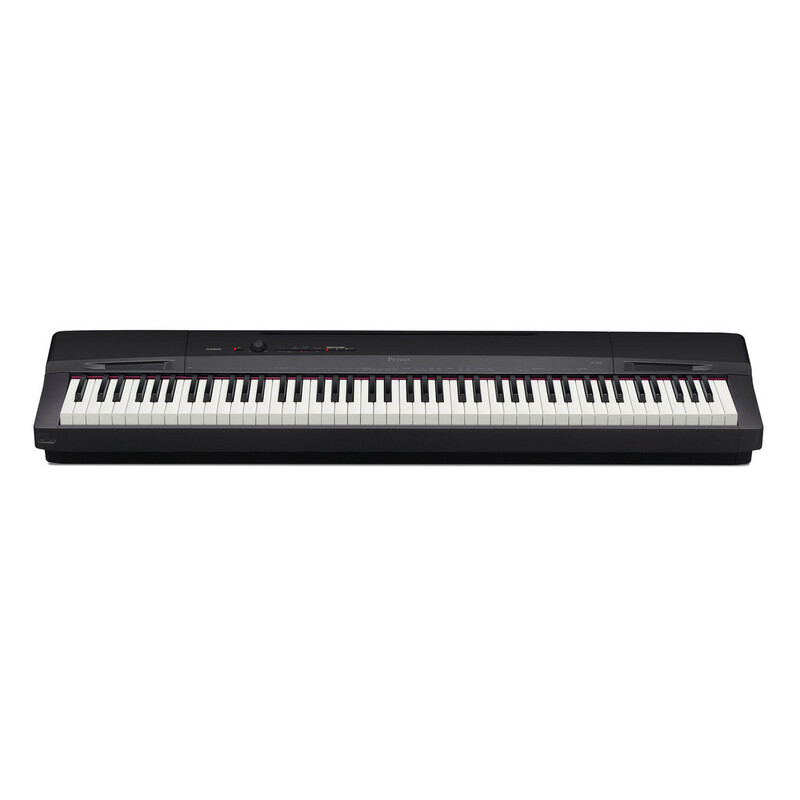 Casio’s PX 160 allows you to perform with total depth, character and strength. Casio is here to inspire your creativity. With a range of over 100 rhythms, you can explore a variety of styles and genres, with a combination of bass, drums, strings and many more instruments. With a library of sounds and backing tracks at your disposal. You can adjust the volumes of the individual voices and add extra variations at the touch of a button. The PX 160 has two headphone outputs on the front and 1/4" left and right line outputs on the rear panel. Class-compliant USB connectivity is also supplied which means the piano can be used with Mac or Windows computers without downloading drivers. The PX 160 can be used as a controller for the Apple iPad with Apple's Camera Connection Kit. Casio Music UK has combined with Rockschool to provide a FREE digital downloadable book with the purchase of selected qualifying instruments. Any access website code to the digital music will be provided in the form of a leaflet inside the product box.